Viewing hours: Modnay-Friday, 9 a.m.–5:00 p.m. 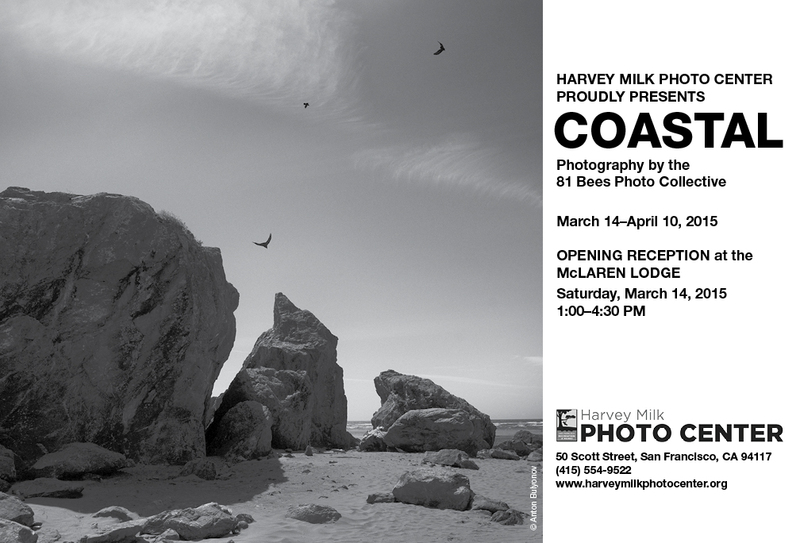 The Harvey Milk Photo Center proudly presents the exhibition Coastal by 81 Bees Photo Collective. The California coastal zone is a boundary or buffer zone between the sea and the land. It is neither one nor the other but rather a space by itself created by the melding of these two entities. This group of photographs reflects a very personal vision of what this space evokes. It comes from an interaction that is very direct and the artworks reflect the calm and tranquil nature that this zone elicits both visually as well as emotionally. The artists in this show are members of the 81Bees–a collective of photographers with a wide range of interests, experience and backgrounds. By working in cooperation, the members create an environment that encourages the growth of artistic vision and technical mastery.